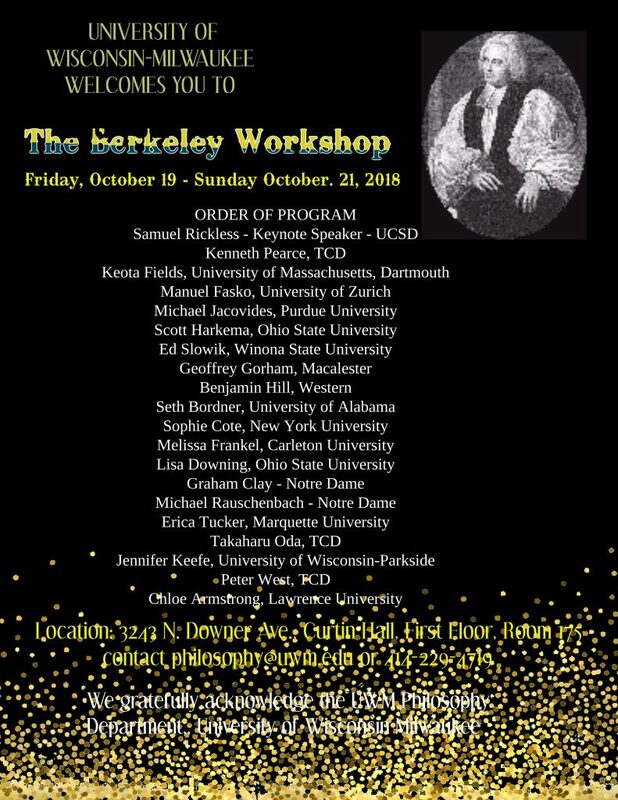 Come join us for The Berkeley Workshop. The workshop begins with a 2018 Fall Colloquium Series lecture. For more information, email philosophy@uwm.edu or call 414-229-4719.